HOUSTON—This year’s HITEC, held here at the George R. Brown Convention Center and produced by Hospitality Financial and Technology Professionals (HFTP), offered a variety of tech innovations, but there was one that seemed impossible to avoid—voice. 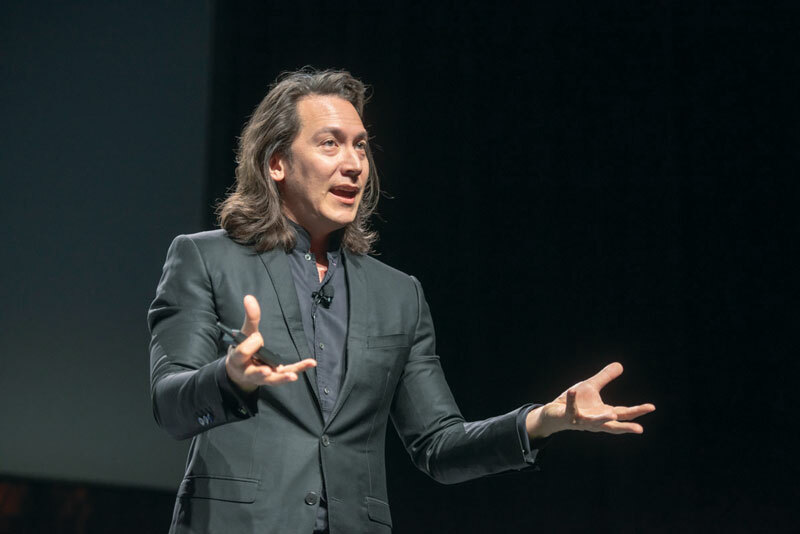 Mike Walsh stressed that future generations will expect different kinds of technology. Many booths touted voice integrations at the show: Angie Hospitality, which offers a voice and AI solution purpose-built for the hospitality environment, inked two partnership agreements with both Iris, a guest experience platform, and Interel, a provider of hospitality guest room management solutions; LG introduced a new hotel TV smart ecosystem that enables end users to work with a range of external voice partners; Volara, provider of voice-based guest engagement software for Amazon Echo, showcased integrations with several companies, including Hapi, a data streaming, integration and enrichment platform, and Sonifi Solutions Inc., which offers guest engagement solutions—and that’s just to name a few. 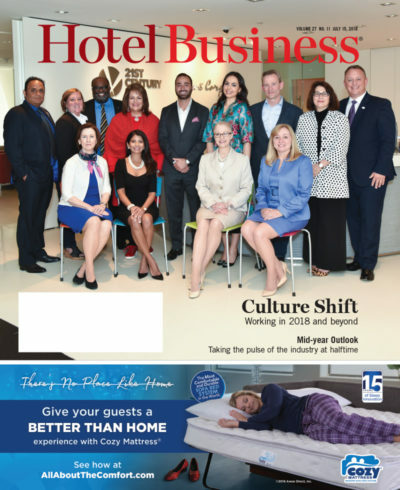 Indeed, while HITEC Houston coincided with Amazon’s debut of Alexa for Hospitality (see story on page 3), the company’s voice platform had its fingerprints all over the tech conference. 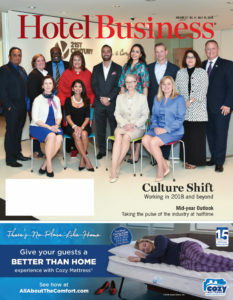 Nuvola, a hotel management and guest-engagement software company, revealed its integration with Amazon’s Alexa; Hotel Internet Services’ Beyond TV platform added voice control functionality via Amazon’s Alexa to control the television and room amenities; Honeywell’s Inncom InnControl 5 system offered an entry point for consolidated Alexa voice control of compatible HVAC lighting, drapery and amenity controls; and Benbria, an omni-channel guest experience measurement and engagement solution, demoed how in-room voice devices like Amazon’s Alexa can be used for guest requests. Other voice-activated solutions included DigiValet’s iPad-based luxury guestroom solution that includes voice controls; Electric Mirror’s proprietary voice-activated Savvy SmartMirror; Comcast Business’ X1 for Hospitality, which includes a voice remote; and Bittel Americas’ Moda, a smart device. So, does this mean voice is the technology of the future? That issue was debated throughout the conference, and was notably highlighted during a session on guestroom technology: “Is More a Perfect Hotel Room?” While there was some divergence about this technology’s role in the room, all of the panelists agreed that hotels need to play catch up, while still putting employee and guest safety first. CitizenM Hotels CIO Nick Price was confident that this technology is coming, but offered, “Technology has to have a lasting value, a real purpose. We don’t need a third way to turn on the lights; it’s a novelty that will wear off very quickly,” he said. He mentioned that an effective way to use voice control would be through entertainment functions, such as asking the device to find a specific channel, or through a concierge system. “It needs to be something that’s difficult to do in another way,” the CIO said. Noting that this doesn’t mean millennials—that particular generation is already the present—Walsh pointed to children, the first generation born with tablet in hand and voice-activated speakers in their living rooms. —Assistant Editor Abby Elyssa contributd to this story.